Methodists have been present in Mississippi from the earliest days of European settlement. When Tobias Gibson moved from South Carolina to Natchez in 1799, he formed the first Mississippi Methodist church at Washington with eight members, including two African Americans. Methodism entered North Mississippi in 1819 and prospered over the remainder of the century because of the labors of circuit riders—itinerate Methodist ministers who traveled by horseback to spread the Gospel of Jesus, often at personal peril. In 1813 ten ministers held the denomination’s first Mississippi Annual Conference at Newit Vick’s home near Fayette. Three years later, Robert Roberts became the first bishop to attend a Mississippi Annual Conference: the ministers present reported that the conference, which included present-day Mississippi, Alabama, and Louisiana, had thirteen hundred members. From 1837 to 1839 the Mississippi Conference also included Texas. In the 1840s, many US Protestant denominations began to split over the issue of slavery, and the Methodists were no exception, splintering along geographic and racial lines for the next half century. In 1845, after the Methodist Episcopal Church censured Bishop J. O. Andrew of Georgia over his ownership of slaves, the church’s southern conferences, including the Mississippi Conference, broke away to form the Methodist Episcopal Church, South. In 1865 African American Methodists formed the Mississippi Mission Conference, which was affiliated with the Methodist Episcopal Church, and a few years later, the Mississippi Conference of the Methodist Episcopal Church, South gave birth to the North Mississippi Conference. The African American Mississippi Conference created its own Upper Mississippi Conference in 1891. After the turn of the century, the various Methodist conferences began to reunite. In 1939 the Mississippi Conferences of the Methodist Protestant Church and Methodist Episcopal Church, South merged, as did the corresponding North Mississippi Conferences. Following the 1968 merger of the Evangelical United Brethren and the Methodist Church, the African American Mississippi Conference merged with the predominantly white Mississippi Conference in 1973, as did their corresponding Upper and North Mississippi Conferences. In 1989 the Mississippi and North Mississippi Conferences merged, forming today’s single Mississippi Conference, uniting Methodists, African American and white, throughout the state. Mississippi’s Methodists sponsored the Elizabeth Female Academy (1818–47), which was located in Washington and may have been the first American institution chartered exclusively for the higher education of women. In 1859 Whitworth College at Brookhaven succeeded Elizabeth Academy. Whitworth closed in 1976, and its former building now houses the Mississippi School of the Arts. Centenary College, now located in Shreveport, Louisiana, began its life in 1841 in Brandon Springs, Mississippi. 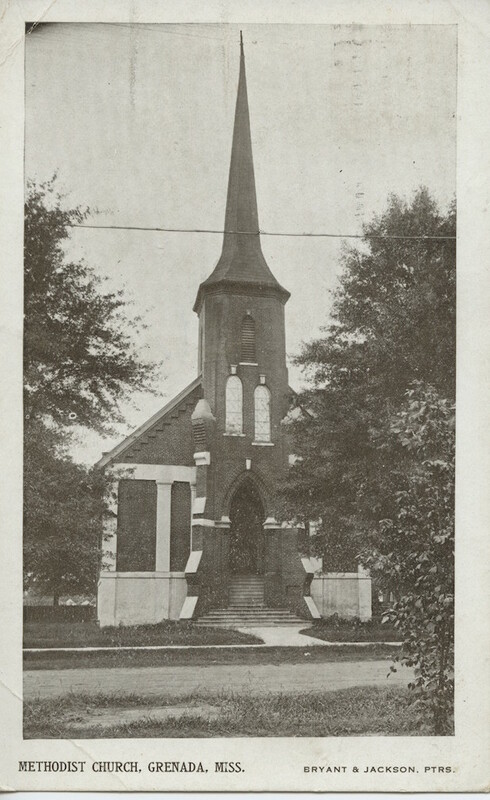 The state’s Methodists now support Holly Springs’s Rust College, established in 1866 by the Freedman’s Aid Society of the Methodist Episcopal Church; Mathiston’s Wood College, a two-year institution established in 1886; and Jackson’s Millsaps College, founded in 1890 and home of the Mississippi Conference Archives. Notable Mississippi Methodists have included missionary Tobias Gibson (1771–1804); William Winans (1788–1857), who served as the first conference secretary; and Benjamin Drake (1800–1860), who served as president of Elizabeth Female College before founding Centenary College. Charles Galloway (1849–1909) was elected bishop at age thirty-six and was among America’s premier pulpiteers. J. Lloyd Decell (1887–1946) served as bishop beginning in 1938. Both Galloway and Decell also served as editors of the New Orleans Christian Advocate. Bishop Nolan Harmon (1892–1993) was born in Meridian and graduated from Millsaps College. The North Mississippi Conference produced Bishops W. B. Murrah (1852–1925), who served as Millsaps College’s first president (1890–1910), and Homer Ellis Finger (1916–2008), who held the same office from 1952 to 1964. Bishop Robert E. Jones (1872–1960), founder of Gulfside Assembly, was elected one of the first African American bishops in the Methodist Church in 1920. More recently, Mary Ann Swenson, who was raised in Jackson and graduated from Millsaps College, was elected a bishop in 1992, while another Millsaps graduate, Larry Goodpaster, was elected a bishop eight years later. Methodist laity have also played prominent roles in the state as governors, public servants, and educators. Campgrounds conduct annual revivals at Shiloh near Pelahatchie, Felder’s in Pike County, South Union in Choctaw County, and Salem and New Prospect in Jackson County. Mississippi Methodist assemblies include Seashore, in Biloxi, which houses the United Methodist Women’s Arlean Hall; Gulfside, in Waveland, founded in 1923; Camp Wesley Pines, in Gallman; and Camp Lake Stephens, near Oxford. In 1963 a group of twenty-eight white Methodist ministers published the “Born of Conviction” statement, which opposed racial discrimination and supported the freedom of ministers to speak out on issues of race. The ministers received mixed responses, including a significant amount of angry criticism. In addition to a dozen social ministry centers, Mississippi Methodists sponsor the Methodist Choctaw Mission, Children’s Home, Rehabilitation Center, Mississippi United Methodist Foundation, United Methodist Hour of Mississippi, and United Methodist Senior Services of Mississippi. The conference publishes a newspaper, the Advocate. At the beginning of 2016 the Mississippi Methodist Conference had 1,003 churches with 1,368 clergy and 176,555 members. Since 2012 the conference has been led by Bishop James E. Swanson Sr., headquartered at the United Methodist Building on Briarwood Drive in Jackson.